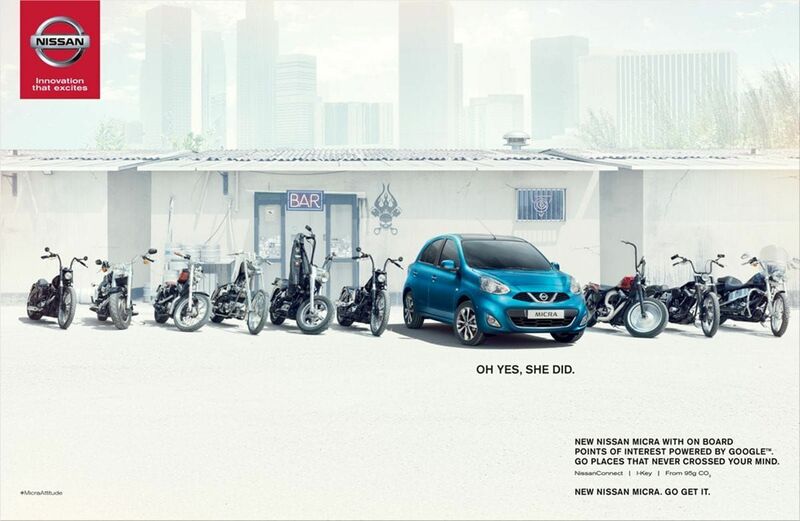 "New Nissan Micra with intelligent key. Go get it." New Nissan Micra with on board points of interest powered by Google. Go places that never crossed your mind." Newer:Scrabble: Everyone has them. Words that want to come out and play. New Nissan Navara - "Tough as always, smarter than ever"